A checklist by BuyMyWardrobe, last updated June 10, 2014. 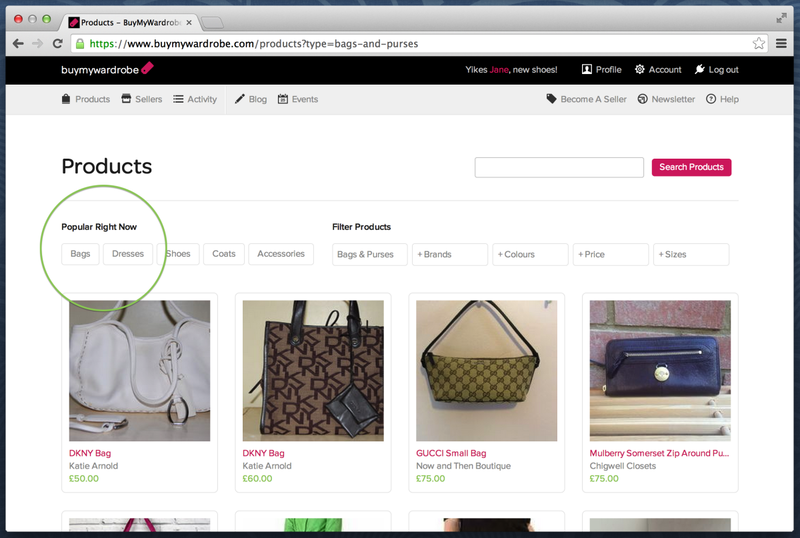 The first place to start if you're looking for a particular product is the products page itself, to get there click "Products" in the top left hand corner from wherever you are on the site. 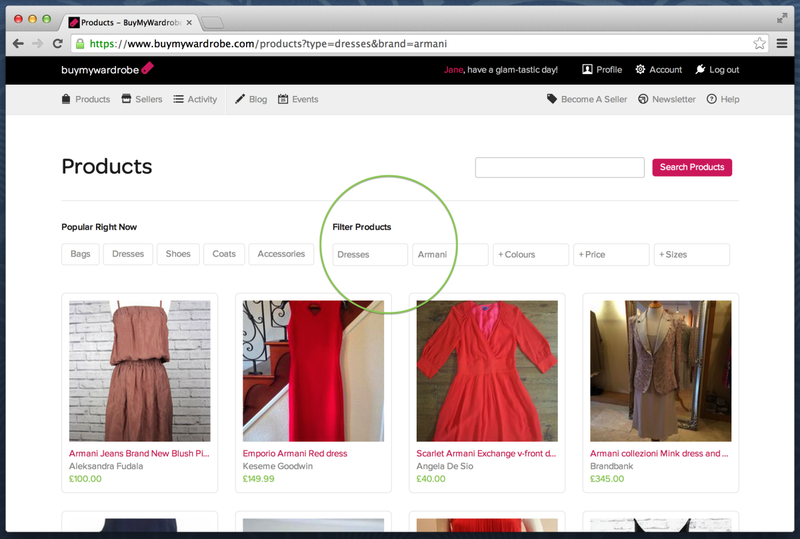 If you want to just browse through the products until you find what you're looking for, use the "Next" and "Previous" buttons at the bottom right of the list of products. 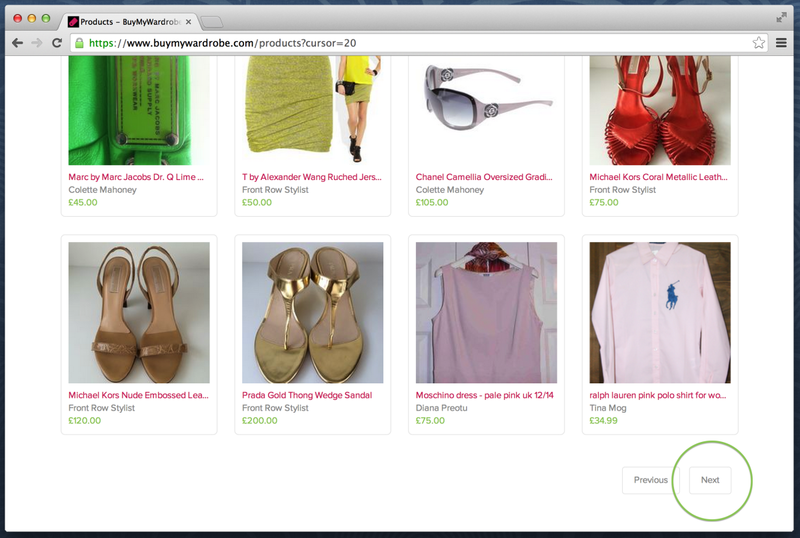 If you want to filter the products to show only items from our most popular categories, click on one of the options under "Popular Right Now". For example, here the products are filtered by "Bags". If you want to get even more specific, you can use the filters under "Filter Products" to specify any combination of Collection, Brand, Colour, Price and Size. 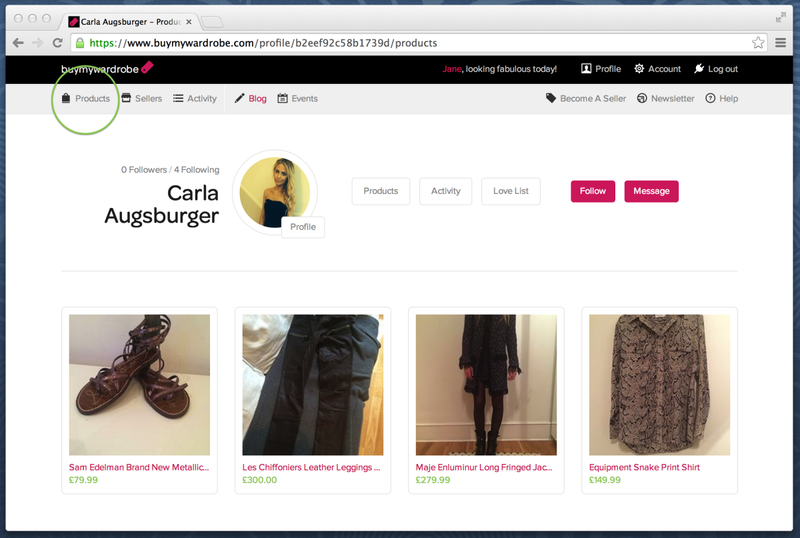 Really handy if you're perhaps looking for "dresses under £50", "Alexander Wang shoes" or "red handbags". If you still haven't found what you're looking for, the final step is to try our search bar. 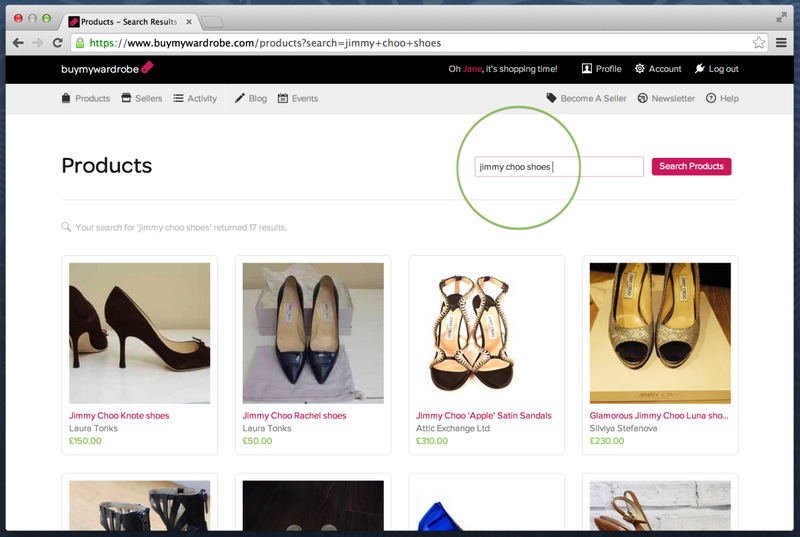 Simply enter your keywords - something like "jimmy choo shoes" - and click "Search Products".